Bushstock is a thrilling multi venue music festival taking place in the Shepherds Bush area on Saturday 18th of June. This summer marks the sixth year of a festival that has established itself at the forefront of new music making it the perfect place to discover something stunning. The organisers have just announced that Shura will be joining the amazing array of headline acts which includes Matt Maltese, Lyra, Rhys Lewis and Shells. Also joining the festival are the enrapturing wild band The Big Moon, Bear’s Den will be playing their tender tunes plus garage grungsters VANT. Other acts due to play include Albin Lee Meldau, Bella Figura, Cape Cub, Charlie Cunningham, Chartreuse, Dan Coll, Dean Lewis, Flyte, Gillbanks, Harry Foxx, HAUS, Hidden Charms, Joseph J. Jones, Junius Meyvant, MarthaGunn, Matthew & The Atlas, Meadowlark, Palace, Pleasure Beach, Rationale, Rhys Lewis, Safia, Sara Hartman, Seramic, Syd Arthur, Tempesst, Tibet and Tom Prior. The festival has also had a few secret performances that you won’t find printed in the line-up. Past surprises have included sets from The Staves and Nick Mulvey. We’ve been tipped that it is more than likely they have something up their sleeve again this year so be sure to keep your eyes peeled. Stages will be set across five fantastic venues including the beautiful St Stephen’s Church which has set the scene for some of the previous festival’s most memorable moments, fantastic gig venue Sindercombe Social and Bush Hall which is an Edwardian dance hall that played host to wild parties in the roaring twenties. You can find the outdoor stage in The Courtyard at K West Hotel which is also accompanied with a wide range of London’s very best food traders. The charming pub Defectors Weld also has a great selection of fine foods and drink. The organisers have clearly organised a great event to be enjoyed by everyone. From the passionate music lover to those looking for an interesting day out, all are welcome! 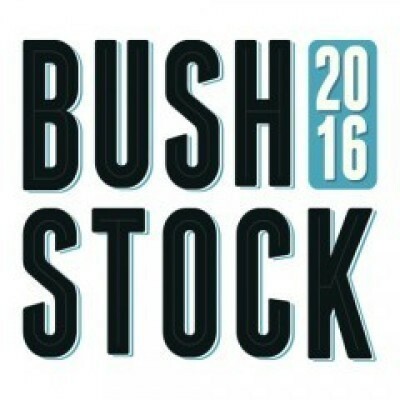 Click HERE for you Bushstock tickets.